Steve Gray started a new project. He uses an 80 column (monochrome) CBM/PET to display a 40 column screen with colour. 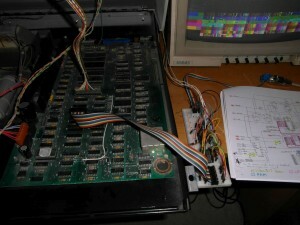 A normal 80 column CBM/PET uses two RAM banks for the text. Steve now uses one RAM bank for the text (40 columns) and the other RAM bank for the colour information. Present a pet 2001/3032 intro called: it could be better. Many years have passed since our last release. It’s time to release a demo for the Commodore PET 2001/3032. Stay tuned, the next demo might be for the Commodore 64 or for other retro computers. The archive contains the. PRG and the .TAP and a description in “FILE_ID.DIZ” format. 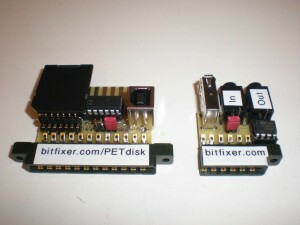 The PETdisk is a new storage device, made by bitfixer, for the Commodore CBM / PET with an IEEE-488 port. The system is in two parts. 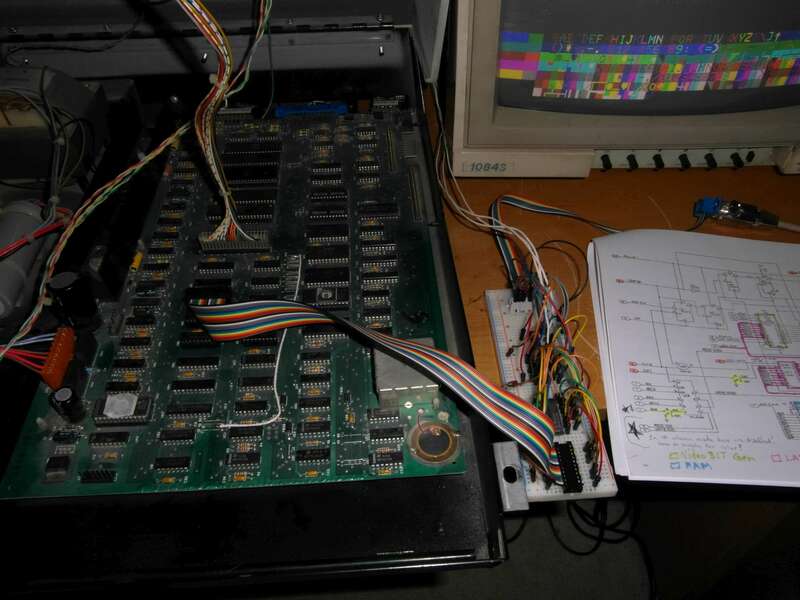 A datassette module that makes it possible to play “data” from a PC soundcard to the CBM / PET and play “data” from the CBM / PET to the PC. The IEEE-488 module has an SD card and a micro processor. You can use the commands LOAD, SAVE and LOAD “$” to load or store data on the SD card. The device number can be changed with a help of a jumper. The USB cable is used to provide 5VDC from the datassette module to the IEEE-488 module. For more informations,schematics,documentations and price of the kit please visit the site of the author. If your CBM/PET is like mine, the keyboard is probably not working too well, nor is it easy to use. 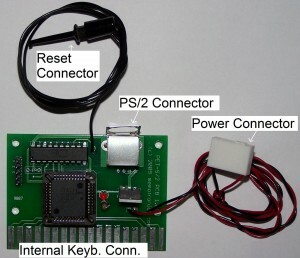 Here is the answer: A PS/2 interface that lets you connect a regular Personal Computer keyboard (with PS/2 connector) to your PET/CBM. The interface is installed inside the PET/CBM and does not take up any ports, other than an internal expansion power connector. As an added bonus, pressing Ctrl + Alt + Del on the keyboard will reset your pet. 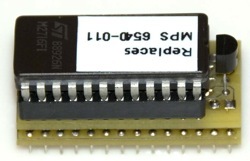 This is a small adapter which replaces the unobtanable 6540 ROM chips used in the Commodore PET 2001-8 computers with a standard 2716 EPROM. They will work as a drop in replacement for any ROM chip in a PET 2001-8.